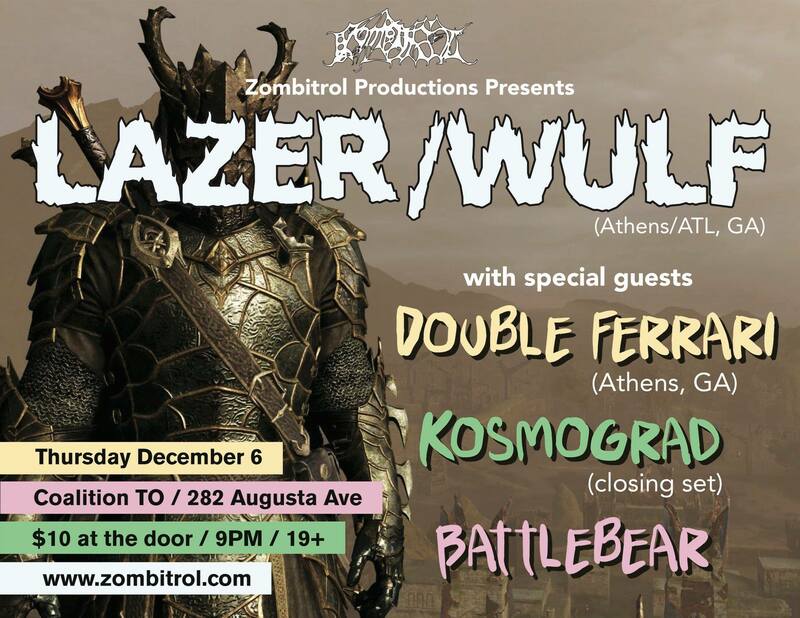 Zombitrol Presents: Lazer/Wulf Live in Toronto! Fresh off their tour with Mutoid Man, Athens/Atlanta progressive, mostly-instrumental trio Lazer/Wulf return to Toronto this Thursday, December 6th for a headlining performance at Coalition: T.O! With a wide range of influences like thrash, prog, funk, and sludge, this will definitely be a mind-bending experience for the uninitiated. Their critically-acclaimed album, The Beast of Left and Right, is purported to be palindromic, that is to say it sounds the same played backwards. You can listen to the full album here. Main support comes from their fellow instrumental Georgians Double Ferrari (featuring members of Bit Brigade). Toronto’s beloved post-metal legends Kosmograd will play a special closing set after Lazer/Wulf, and breakout grind superstars Battlebear will open. ICYMI I released a new audio interview with Mantas and Demoltion Man of Venom Inc. I also want to thank everyone who came out to see our presentation of Operus, Empyrean Plague, Hexenklad, and Battlebear at Coalition TO. Keep your eyes open for a new Zombitrol live event coming up soon. Long-running American alternative metal act Godsmack have a new album out today called When Legends Rise, along with a new big rock sound. 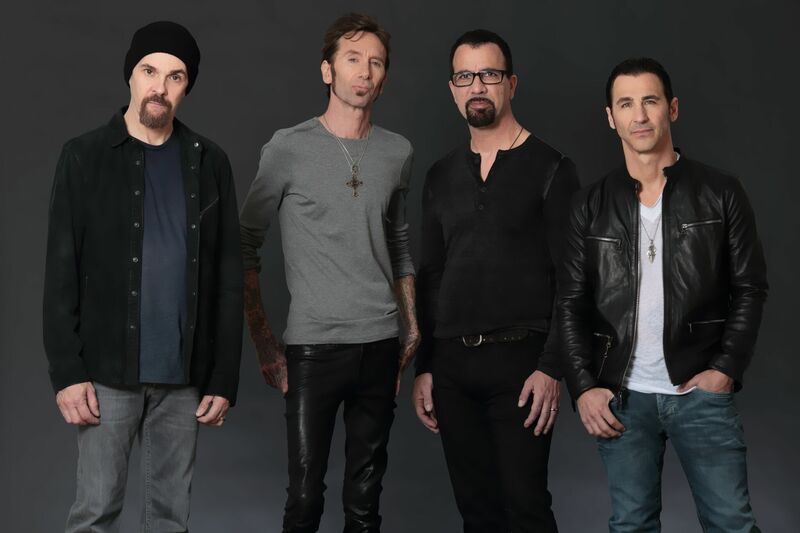 I've also got a new interview with frontman Sully Erna where he talks about how this new direction was directly influenced by their biggest hit to date, 2002's "I Stand Alone." You can read it now in the Interviews section. Last year Zombitrol Productions returned to Iceland’s Eistnaflug festival, and I managed to catch up with Max and Iggor Cavalera, who were performing Sepultura’s seminal album Roots in its entirety as a part of their “Return To Roots” tour. We spoke about Roots and the new Cavalera Conspiracy album Psychosis. Watch it now in the Interviews section. 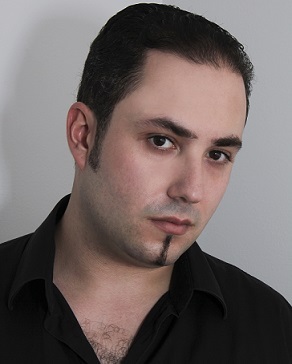 I am a broadcast professional with experience in radio broadcasting, print media, and the performing arts. I was formerly the host of the Relapse Records Podcast, and host/producer of The Governor's Ball: The "Mighty" Metal and Comedy Show. I was also a contributor for Alan Cross' ExploreMusic and currently contribute to his site A Journal of Musical Things. On this page you can stay up to date with my latest interviews and stories.